LASALLE INTERIOR TRIM Series II/IIA/III (109″) LWB Roof Thermal Acoustic Insulation is a versatile open cell foam designed for use in a wide range of applications where high levels of thermal and acoustic insulation are required. These combined properties make the LASALLE INTERIOR TRIM Series II/IIA/III (109″) LWB Roof Thermal Acoustic Insulation the ideal material for panel insulation in Series and Land Rover vehicles. Low weight means effortless handling, the structure cuts cleanly, and the self-adhesive backing makes for fast and accurate fitting. 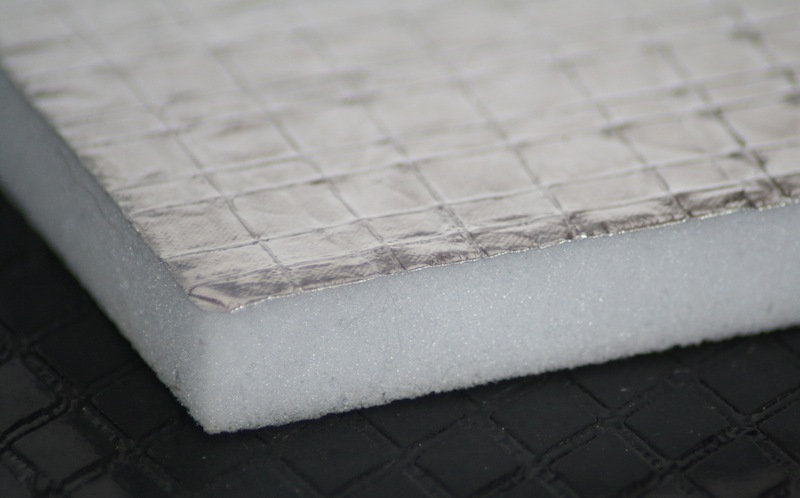 The perfect partner for our headlinings and side trims, Thermal Acoustic Insulation provides the optimum in sound absorption and thermal insulation. In addition, it’s also highly heat and flame resistant, so it can also be used beneath the bonnet.